In the case of those that have staff photographers and equipment, they realize a very important cost savings by using freelance video crews… No travel expense. Many times the travel cost alone can be as much as hiring a local crew. For example, a staff crew from Atlanta, GA that needs to shoot for eight hours on location in Jacksonville, North Carolina would spend $800 in flights, $200 on a rental car, $100 for meals, $200 for a hotel, and at least two full days for labor. A local crew in Wilmington, NC could have traveled round trip to Jacksonville, NC in three hours and only cost $2,220 total. Assuming, the crew provided the same level of quality, the client would have significant cost savings. If the client doesn’t own staff crews they can expend significantly more costs traveling a sub-contract video crew, than if they hire a team located close to the actual shoot location. Many feature films rely on this same mentality by traveling their key talent to a location where the local crew base can support the majority of the positions. On the other hand, many freelance video crews are staffed by some of the best camera operators or DP’s in the U.S. These DP’s are specifically sought after to produce glorious video for multiple clients in the same month. Once an organization has made the decision to hire a video crew many questions still remain. Where do you need video shot? How high is the quality of your video? What crew members are needed? What other travel expenses are involved? When are you booking your crew? How long is your assignment? Will the crew handle transportation? What information does the crew need? How much will you pay for video crews? Throughout the U.S. there are many freelance video crews. So, before selecting which one to use, you should narrow the list based on shoot location. Based on the quality you may opt to use a crew based a few hours away or to use a crew that is completely local to your location. Format also reduces your options for local crew. Many smaller markets do not have camera crews with the right gear or experience. The first issue is the quality of the video. If you need B-roll of a building in the daylight with no audio to air on your local cable station, video crews are not the best idea. The cost would far outweigh the use of the footage. However, if you are creating a marketing video for a major corporation and you need an interview of the CEO, it will be worthwhile to hire a professional camera operator to ensure good lighting, frame technique, and perhaps hiring a professional audio operator, grip or make-up artist. When seeking out the video crew that best suits your needs you should interview the camera operator and ask about past assignments that they have completed that are similar to yours. In addition, you may want to ask for a resume (they typically include past assignments, specialty skills, awards, and education.) In most cases, the camera operator will have a video reel to provide samples of work. If they don’t, you may want to be apprehensive about their quality. Every video shoot requires different staff on location. Many times it may be just a producer and camera operator. Other shoots may include make-up artists, production assistants, grips, gaffers, electricians, and other staff. Video crews normally come in either one-man band or two-man crew. The one-man band is best for smaller shoots shooting primarily B-roll. In this instance, the camera operator is responsible for his camera gear as well as audio. The two-man crew typically is referring to a camera operator with a sound person. Many freelance sound operators are talented in other areas, such as lighting, that will help round out the crew. Every video crew will come with similar equipment (camera, tripod, monitor, lighting, audio, vehicle, light grip gear.) Many times the audio items will be more robust if the video crew is two-man vs. one-man band. In addition, many video crews travel with additional gear that is billed only if used on location. These extra items include wide angle lens, HMI lighting fixtures, and additional decks. Video Wireless Transmitter – allows the producer to view what the cameraman is shooting on a handheld monitor. TimeCode Encoder – allows the audio operator to record an audio cassette version of interviews with time code that can be sent to transcription services. You can book a video crew “local” to your location or “Portal to Portal.” Booking a crew as “local” means the crew is responsible for any mileage, meals, and travel time to and from the first location. Therefore you do not need to pay for these expenses. “Portal to Portal” means the crew is billing you travel time, miles, and other travel costs from their office to location and back. Most crews require travel expenses and/or per diem for any work more than 50 miles away from their home base. These expenses may include a hotel room, mileage, and meals. It’s a common practice to offer crew members a per diem instead of paying for meals. In this case, you pay crew members $35-$50 per day for meals. Many crews book shoots days, weeks, or months early. It’s always a good idea to communicate with a video crew as soon as possible to give them a heads up of your intended dates. Many times crews will accept a “standby shoot.” Standby is similar to “Right Of First Refusal” or ROFR. This practice allows producers and clients to ensure crew availability without limiting the crew from taking future assignments. Once a crew is placed on standby they are responsible for communicating with the client before accepting another assignment for the same day. Many times when you call a crew and ask their availability for a specific date they may say, “I’m already on standby for that day.” That means if you are offering them a “firm” shoot then they will call the other client and either firm-up that shoot or be released to take your assignment. This is a very common practice. It is beneficial to both client and crew. Most video crews offer full-day rates and half-day rates. Make sure to specify with the crew whether the full-day is eight hours or ten hours. This will certainly make a big difference in cost if overtime is involved. If you book a crew at a half-day rate for five hours and you roll over into six, you are automatically billed the full day rate. Full days typically start at first crew call of the assignment and end when the assignment is wrapped, even if small breaks or lunch were taken in between. Overtime is defined as an hour of work performed after the end of a full day. Overtime is typically billed as time and a half for labor, but no extra charge for gear. Many crews will offer discounts on travel and other items in exchange for multiple full-days of work. All video crews are responsible for the transportation of their gear and crew. However, there may be additional charges for mileage. While many larger crew vehicles (like Chevy Suburbans) have room for other crew like a traveling producer or reporter, don’t assume they will have room. Always ask the crew if they have room for additional passengers, luggage, or equipment prior to arriving on location. Certainly, video crew rates vary based on region, market size, gear included, and experience. A common rate for a two-man video crew in an average size market is $2,000. Normally crews charge more than half for working a half-day, assuming that they will not be able to pick-up the other half of the day for another client. Certainly be prepared to have your cost vary. This article was written by Patrick Bryant, Founder of Go To Team. 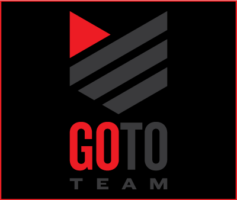 Go To Team is a leading provider of video production resources throughout the U.S. including video camera crews. See their homepage for more information.